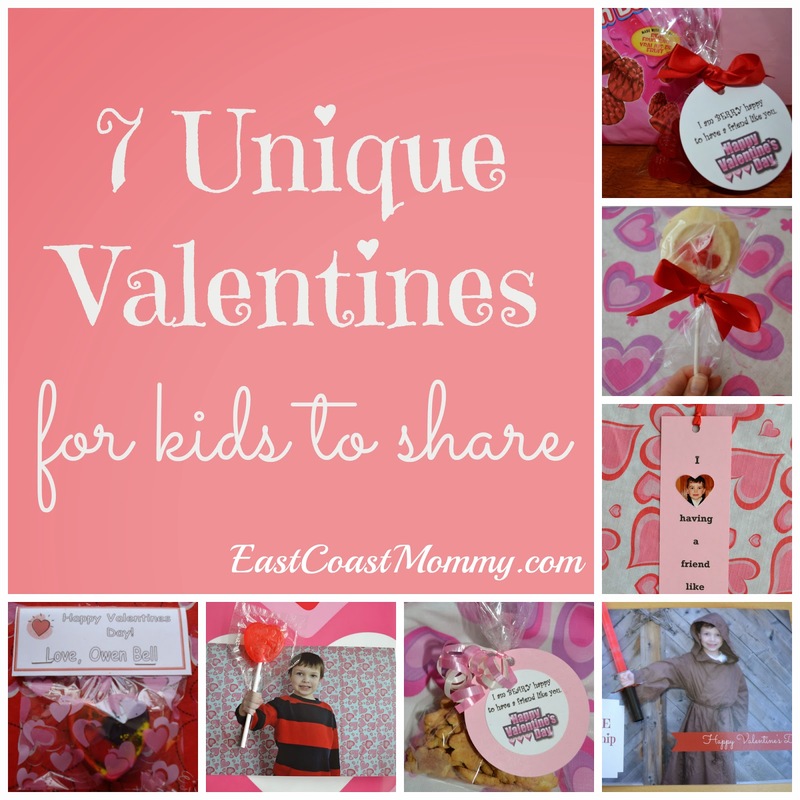 My boys love Valentine's Day, and over the years we have made many adorable Valentine's Day crafts. 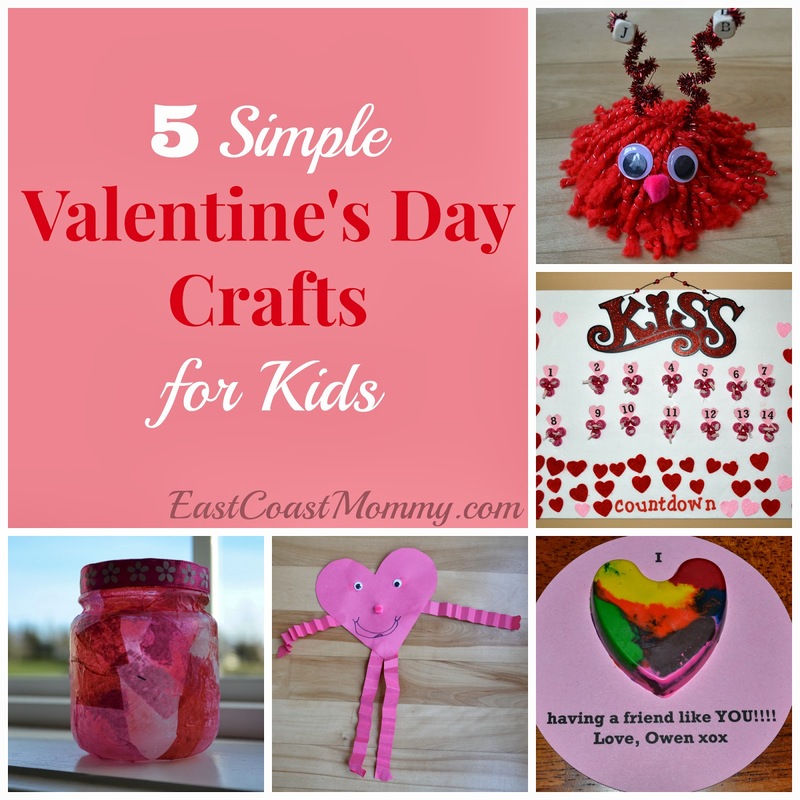 Today, I am sharing 5 of my favorite simple Valentine's Day crafts for kids. Click on the links for full tutorials. 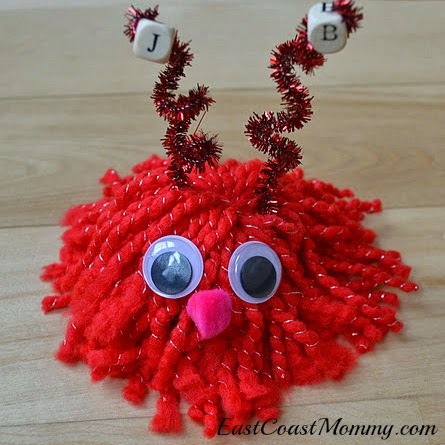 1) Love bugs - These adorable love bugs are made from yarn scraps and recycled egg cartons... and they couldn't be any cuter. 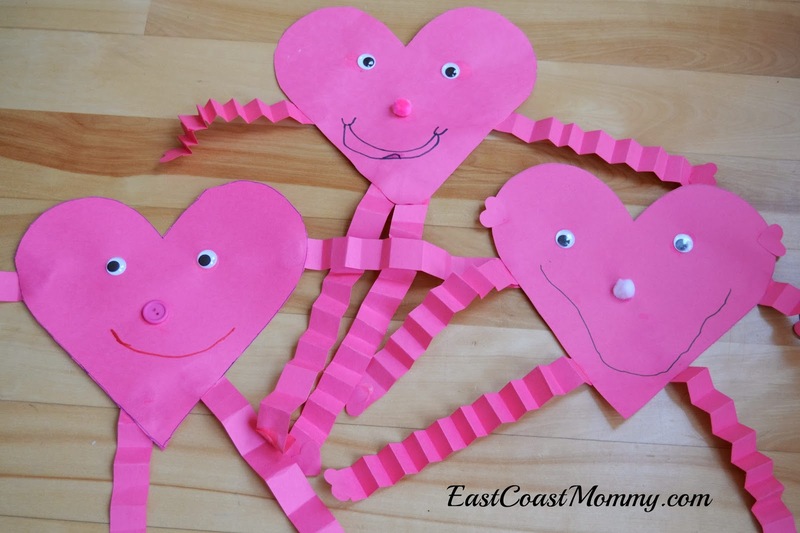 2) Heart people - All you need to make these sweet heart people is some construction paper, googly eyes, glue, scissors, and a little imagination. 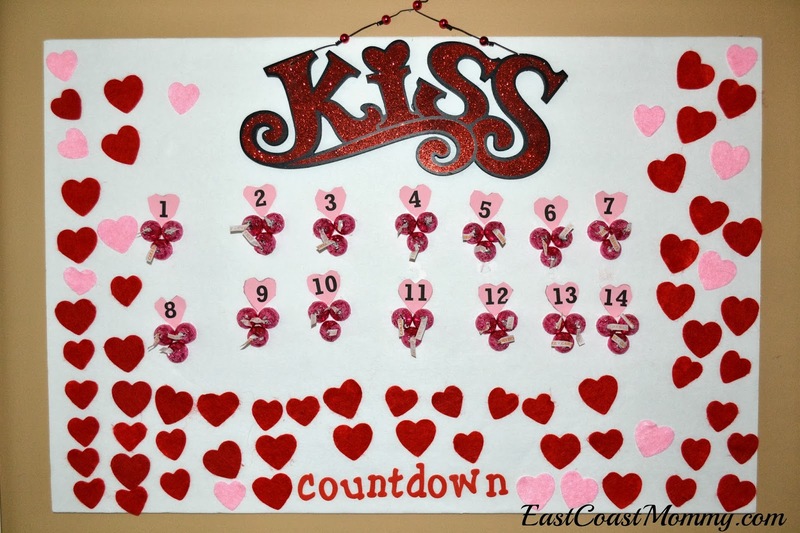 3) Kiss countdown - With a few supplies from the dollar store, the countdown to Valentine's Day can be just as fun as the day itself. 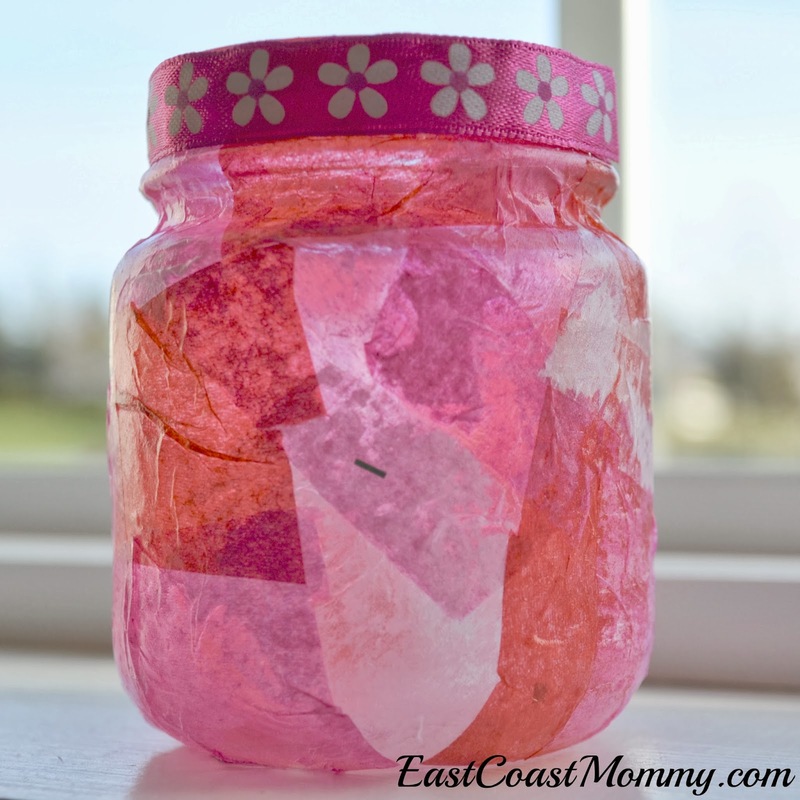 4) Babyfood jar tealight holders - A little tissue paper and Mod Podge can transform an ordinary jar into extraordinary Valentine's Day decor. 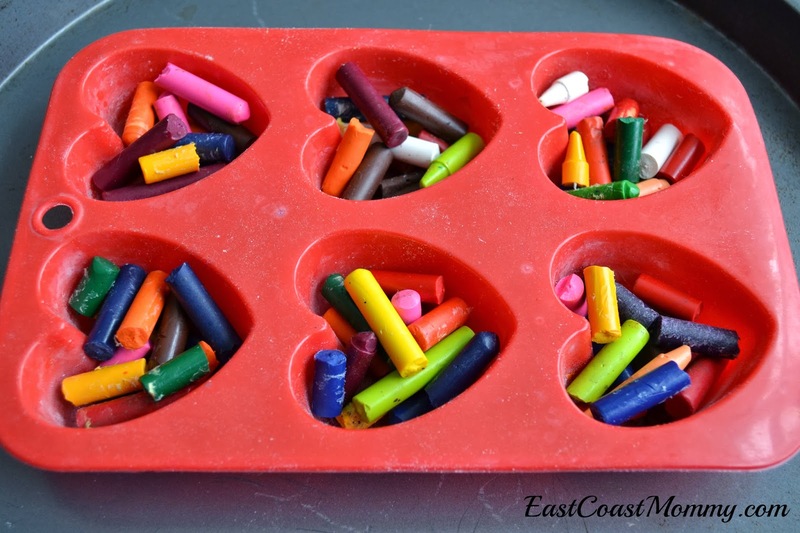 5) Recycled heart crayons - It couldn't be easier to recycle broken crayons into super-fun heart crayons. Little ones will love the chunky feel and rainbow colors. 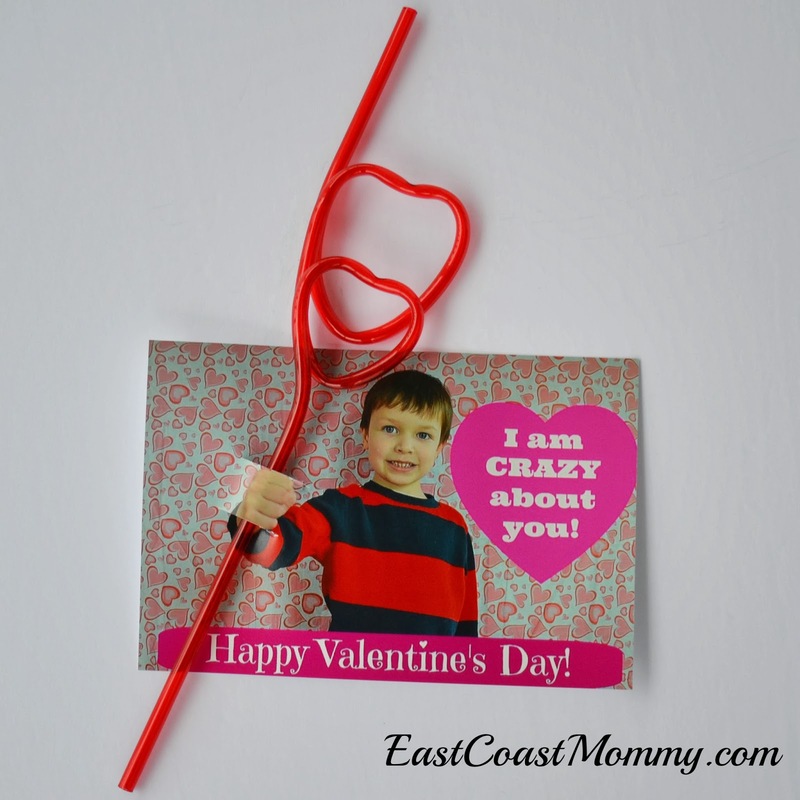 Do you have a favorite Valentine's Day crafts? Let me know if you give one of these ideas a try. 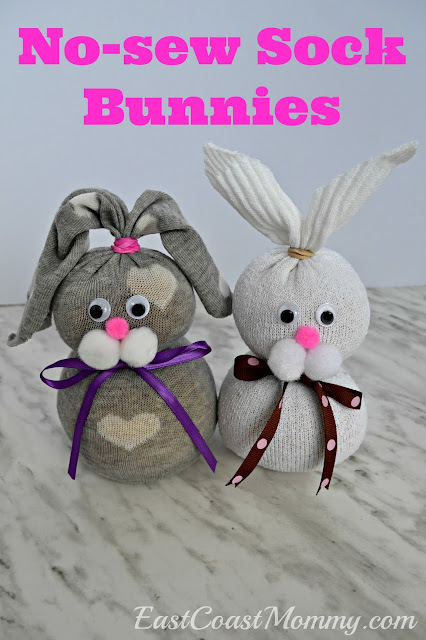 PS... you might also want to check out these fun posts... click on the links for all the fun details. Some days you just need a double dose of chocolate in order to make it to bedtime. Am I right? 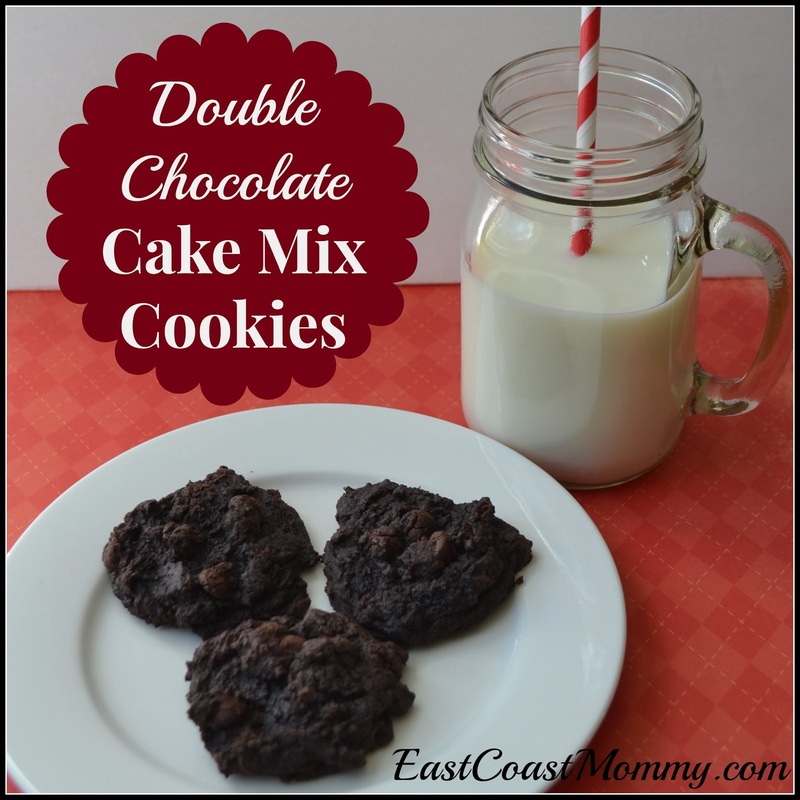 If you ever find yourself in need of a chocolatey "pick me up", this is the perfect recipe for you... double chocolate cake mix cookies. My version of these easy to make chocolate cookies is adapted from one I found here. 2) In a large bowl, use an electric mixer to combine the cream cheese and butter until smooth. Then, beat in the egg, the vanilla, and the cake mix. 3) Use a wooden spoon to mix in the chocolate chips. 4) Refrigerate batter for 1 hour. 5) Scoop tablespoons of batter onto an ungreased cookie sheet, and bake for approximately 12 minutes. Trust me... if you are a chocolate lover, you will not be disappointed by these soft and delicious cookies. They are perfect with a glass of milk! 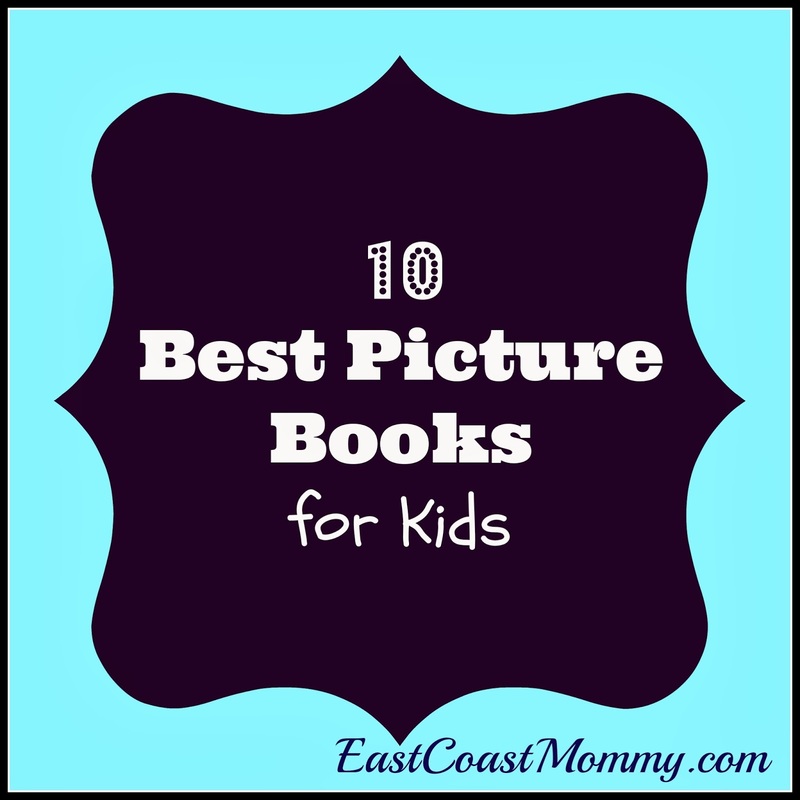 Have you read all the picture books on this list? Do you have a favorite? Yesterday, we had snow day, so I let my boys decide how they wanted to spend their day at home. They decided we should have a special "Games Day". Of course, we needed a special snack, so we made a domino cake. 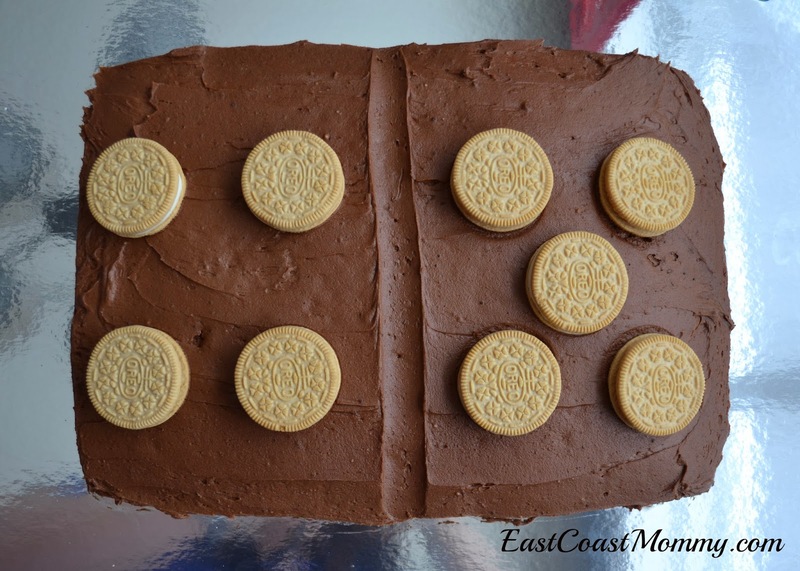 We started with a rectangle cake, frosted the cake with chocolate icing, and added some white Oreo cookies. Then, we gathered a few of our favorite games. 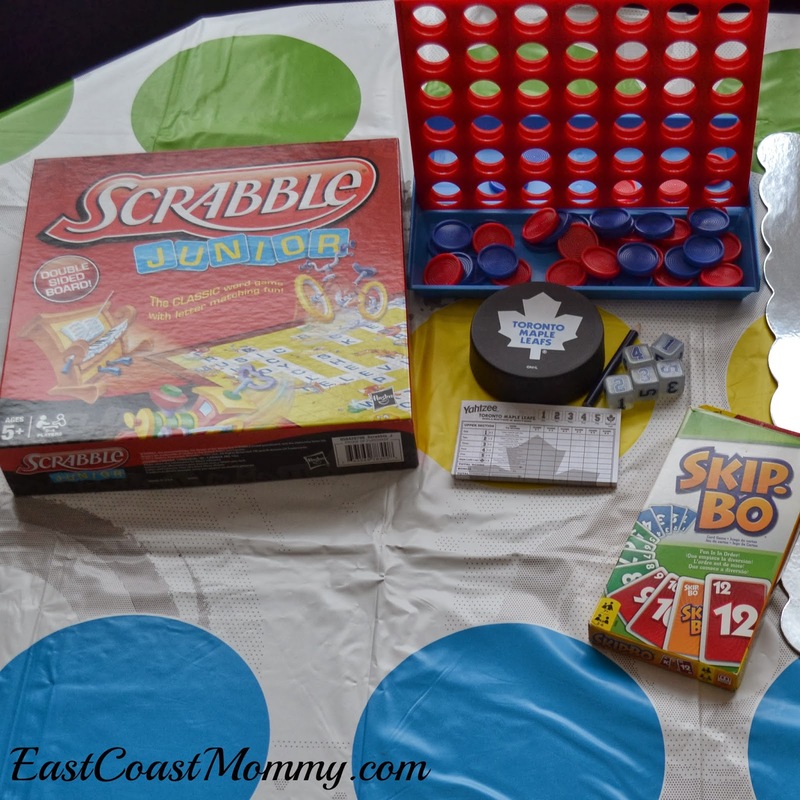 The boys chose Connect Four, Scrabble, Yahtzee, and Skipbo. Finally, we did some simple decorating. 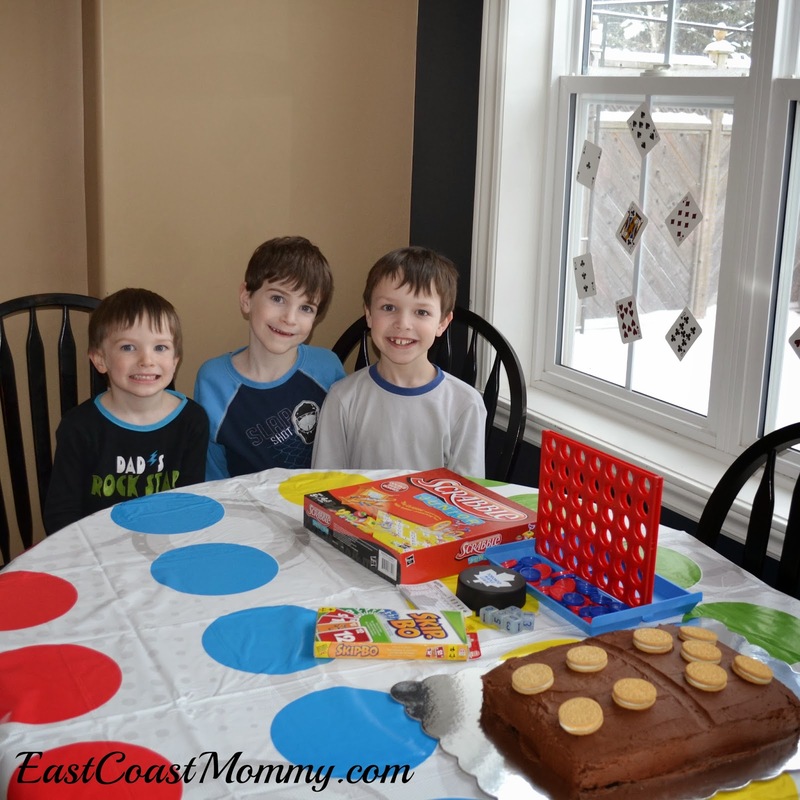 We taped some playing cards to the windows, and we put our Twister mat on the table as a tablecloth. Cute, right? I didn't go to a lot of work, but a few special touches made the day extra fun for my boys. 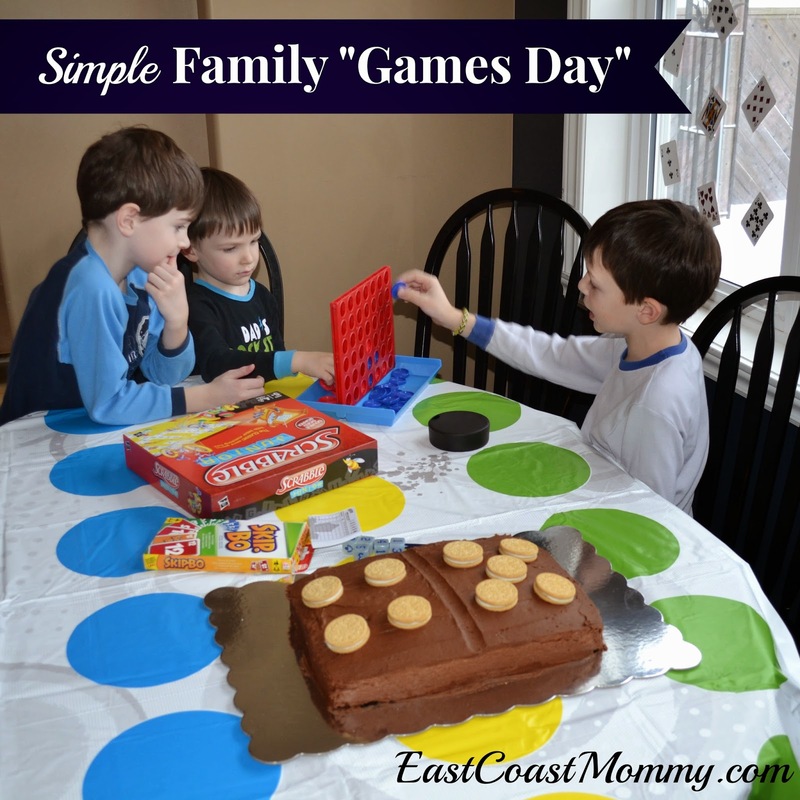 We had a fantastic "Family Games Day". 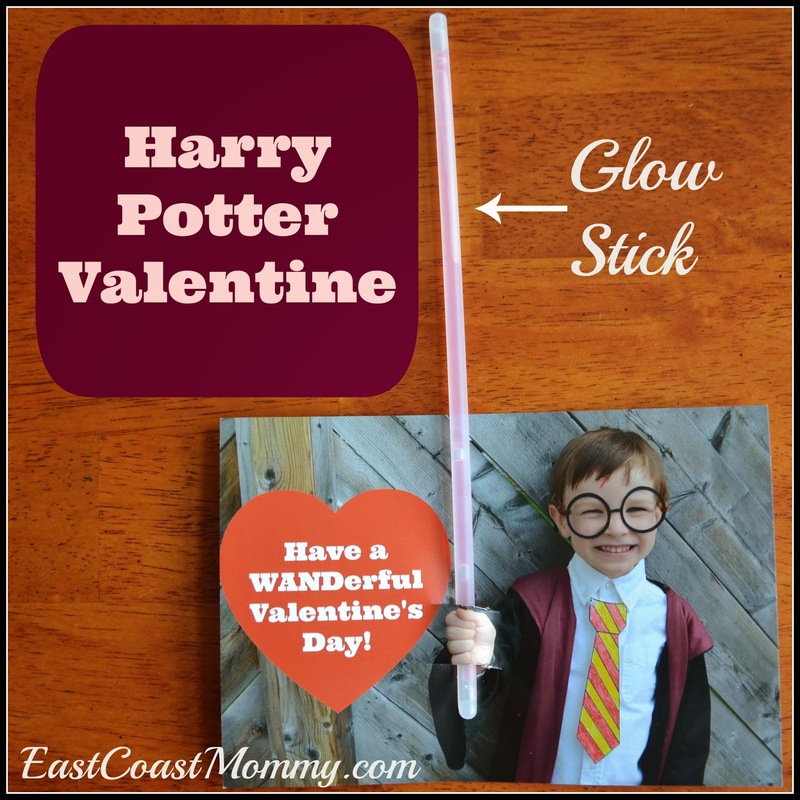 As many of you know, my boys (and I) are huge Harry Potter fans, so it is no surprise that I was asked to come up with a Harry Potter Valentine. I decided to use a variation of the Star Wars Valentine that we did last year. This year, instead of using a glow stick as a light saber, I used a glow stick as a magic wand. To make this Valentine, I took a picture of my son dressed as Harry Potter with his hand sticking out in front of him, and I added a Valentine's Day greeting using Picmonkey.com. Then, I cut a slit above and below his fist, and I inserted a glow stick. Didn't it turn out cute? My four year old is excited to share his Harry Potter Valentine with his friends at preschool. 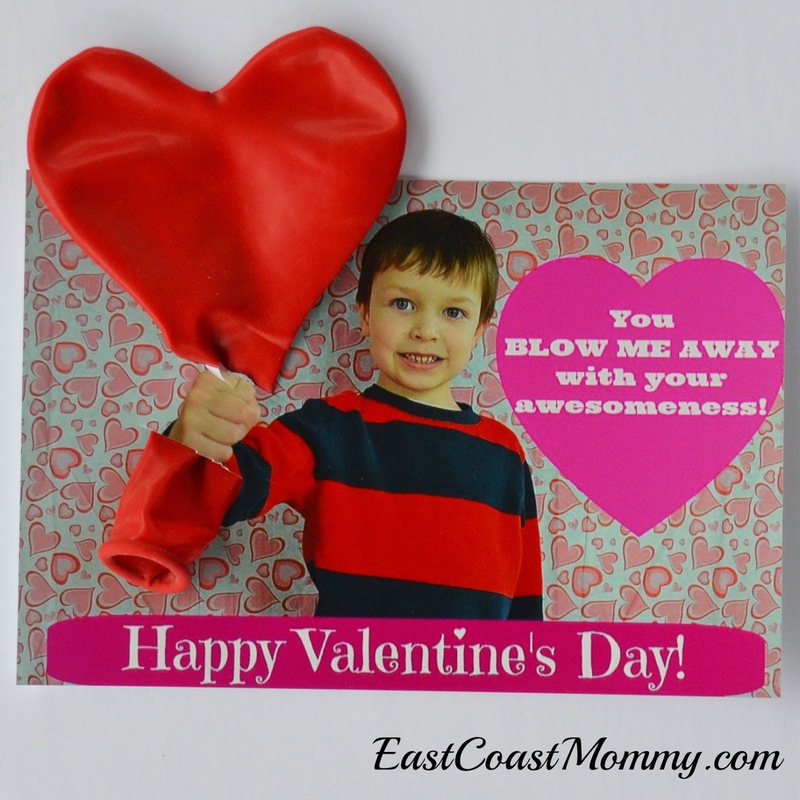 What kind of Valentines are you handing out this year? 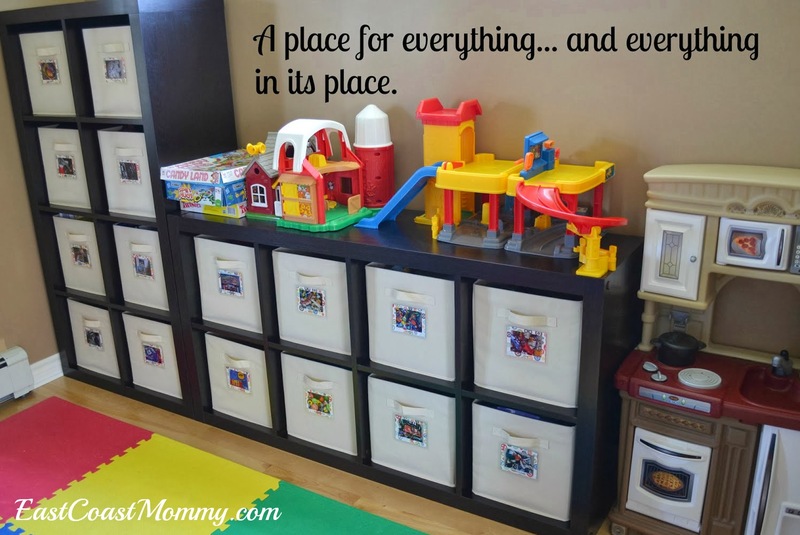 There is something about January that makes me want to get organized, but like a lot of busy moms, I need "easy" solutions I can implement. 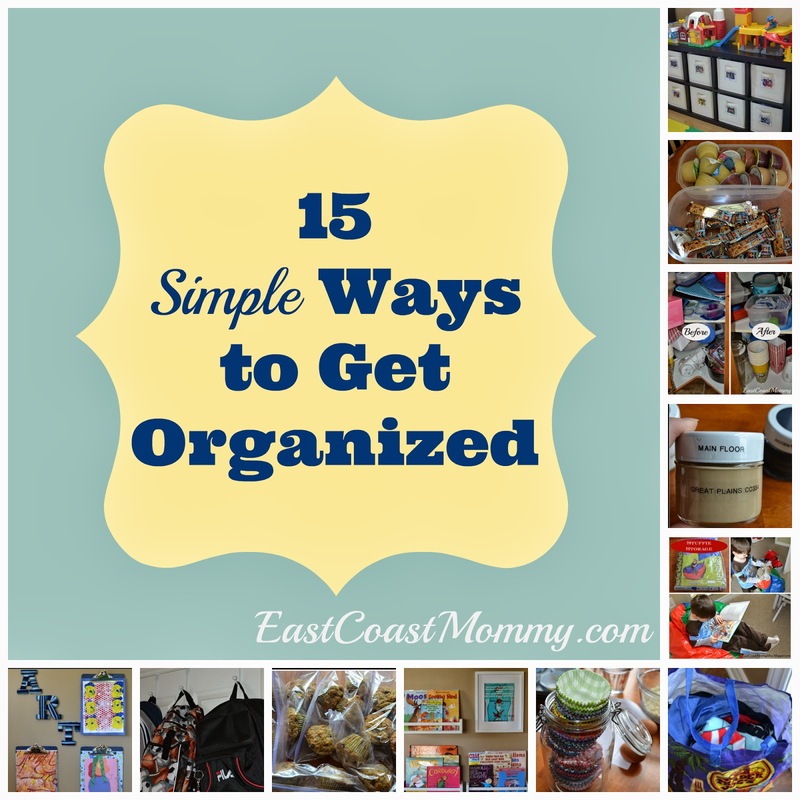 Today I am sharing 15 simple ways to get organized. Click on the links (below) for more details. 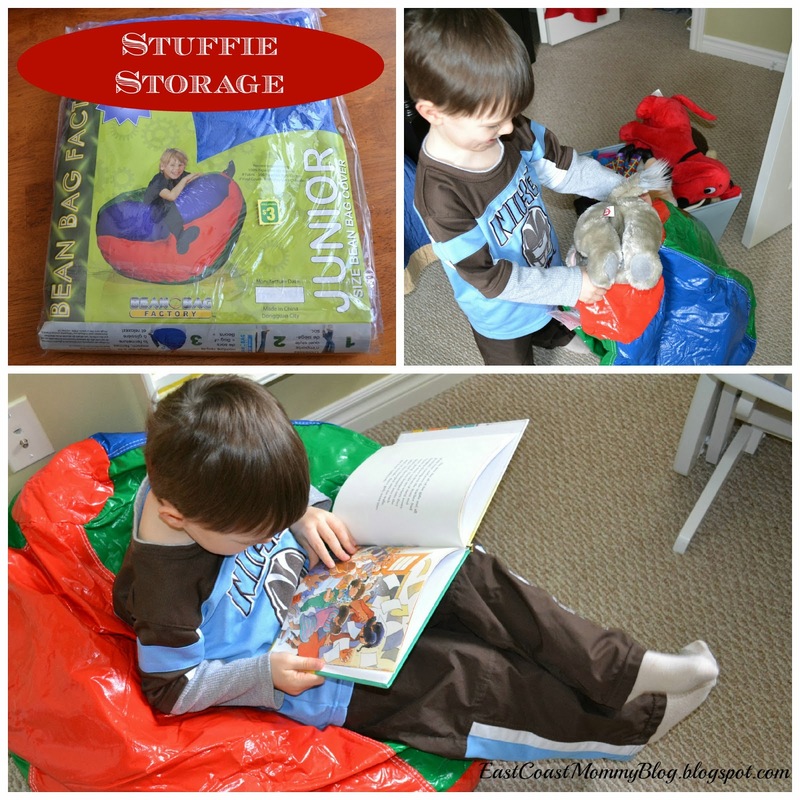 1) Stuffie Storage - Stuff those stuffed animals into a bean bag chair cover for easy "out of sight" storage. 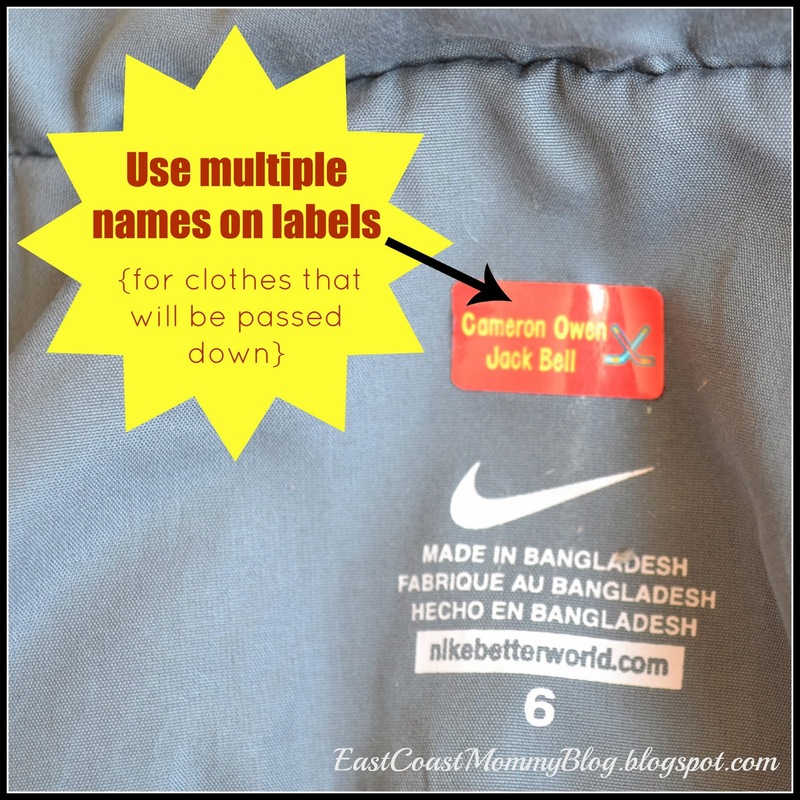 2) DIY Toy Bin Labels - Make sure there is a place for everything so kids can easily put away their own toys. 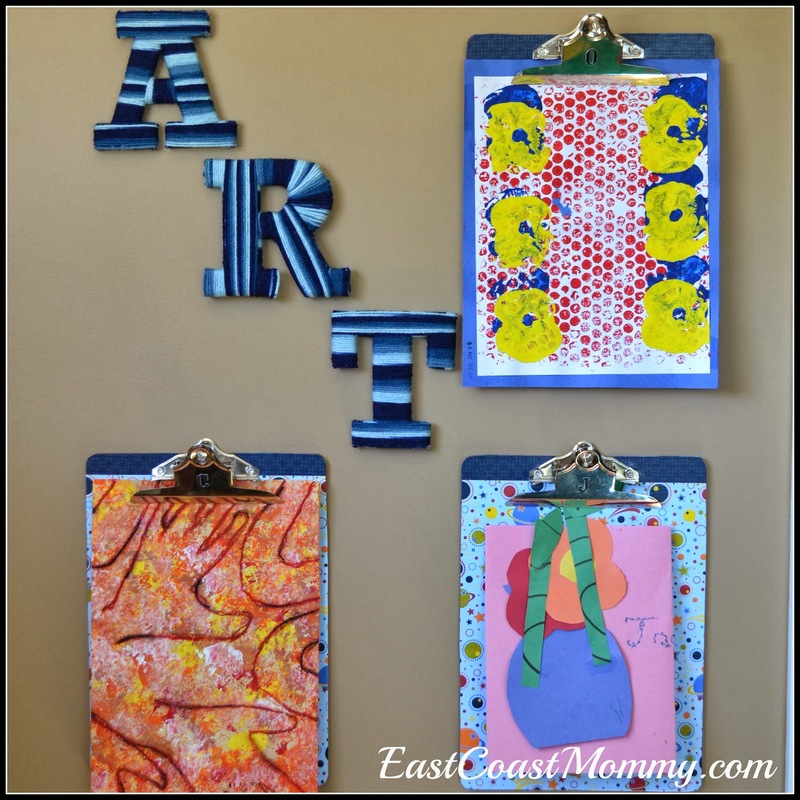 3) Artwork Storage Solutions - Manage the artwork avalanche with a few simple storage solutions. 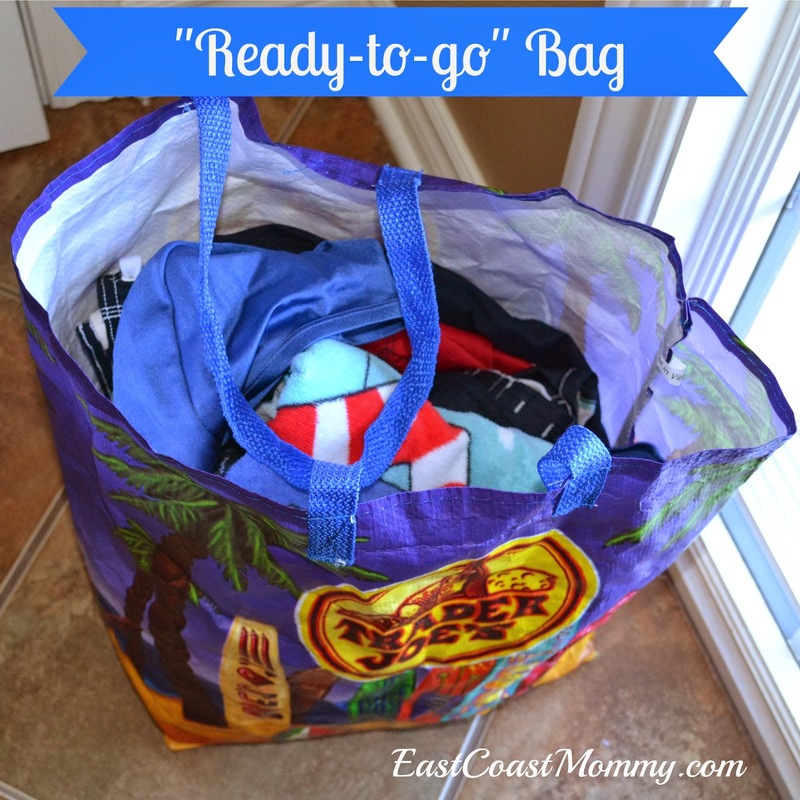 4) Ready to Go Bags - Make getting out the door easier with "ready to go" bags for after school activities. 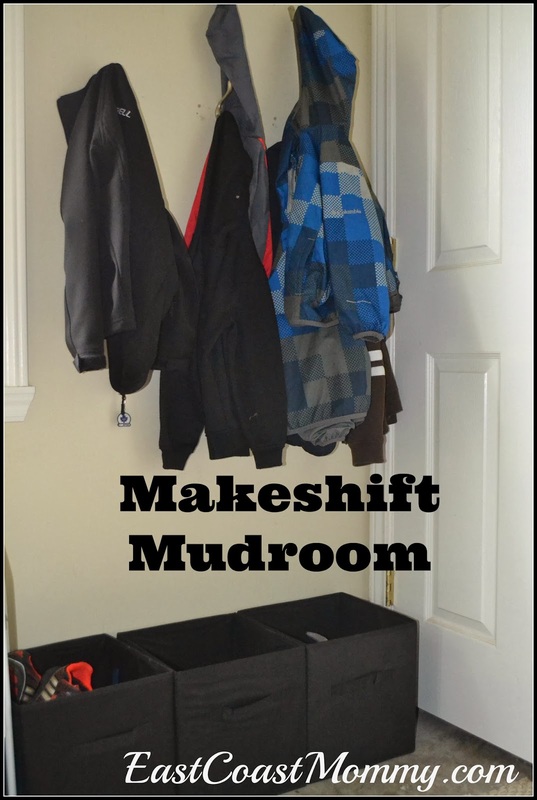 5) Makeshift Mudroom - If you don't have a mudroom, you can use hooks and dollar store baskets to get the "coat and shoe clutter" under control. 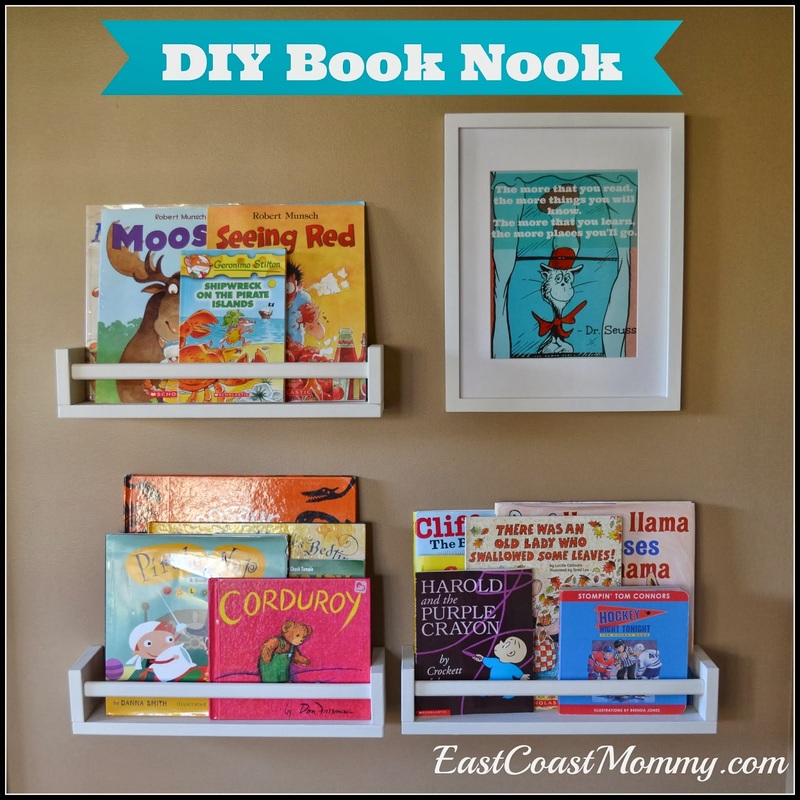 6) DIY Book Nook - Organize books so they are easy to find... and easy to put away. 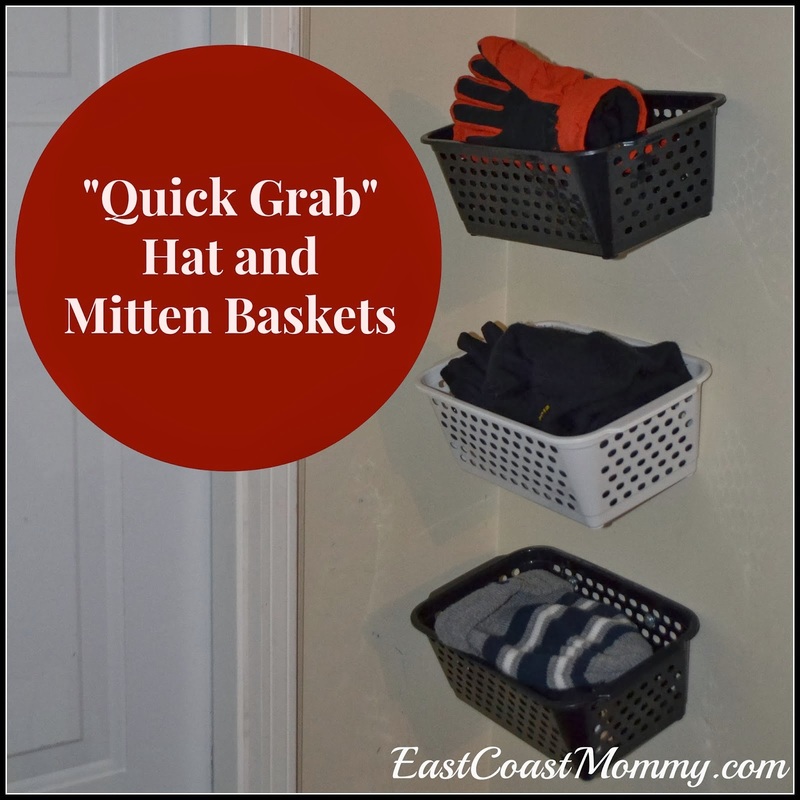 7) Quick Grab Hat and Mitten Baskets - Make getting out the door a breeze by using dollar store baskets to organize hats and mitts. 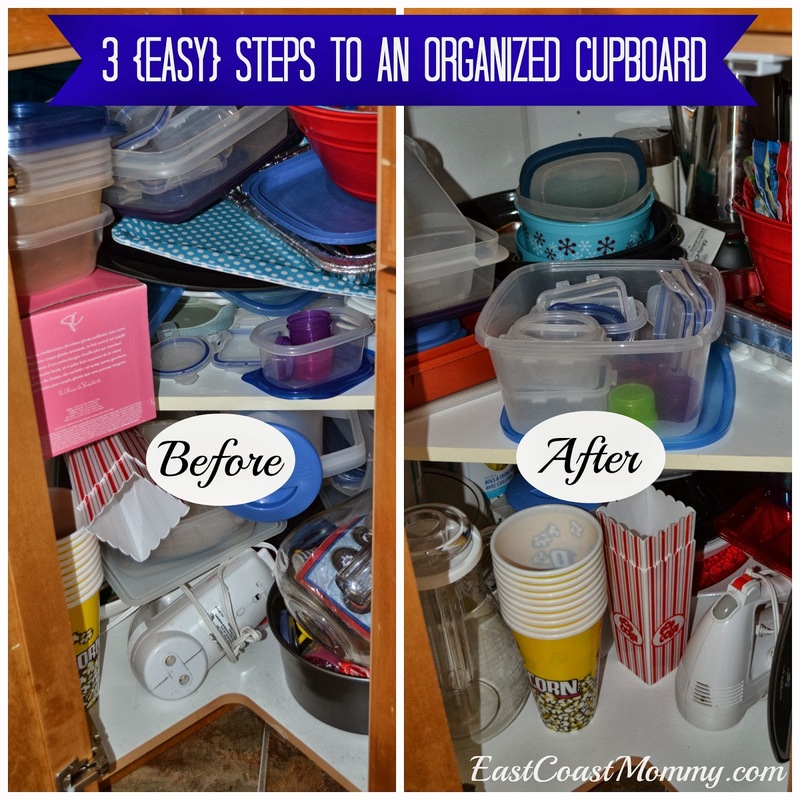 8) Tips for Cleaning out a Cupboard - Tackle one cupboard at a time using these three simple steps to an organized cupboard. 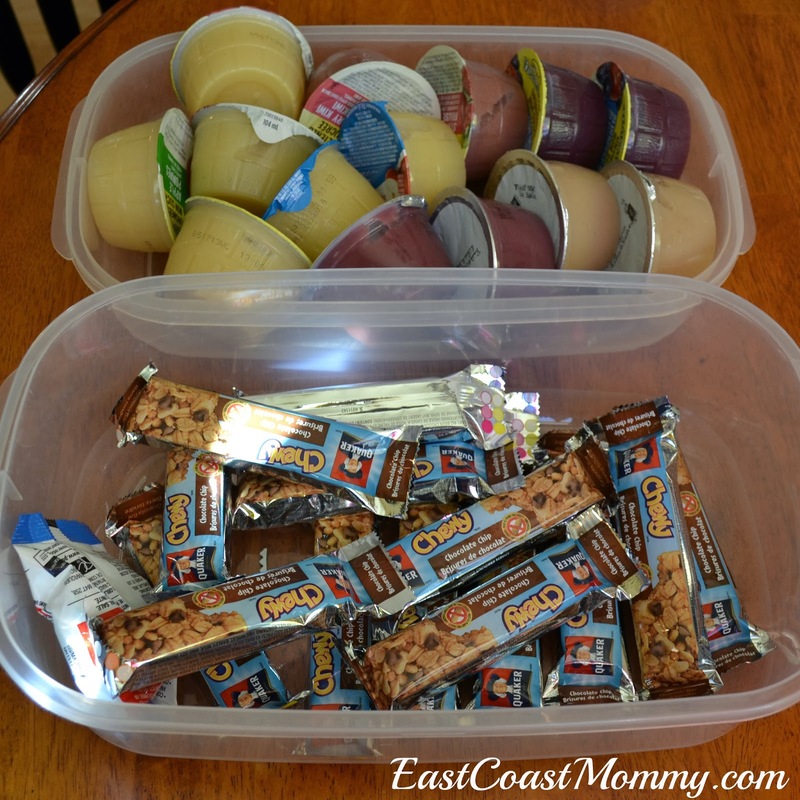 9) Organize Snacks - Save time and money by buying in bulk, getting rid of boxes, and storing snacks in easy to access containers. 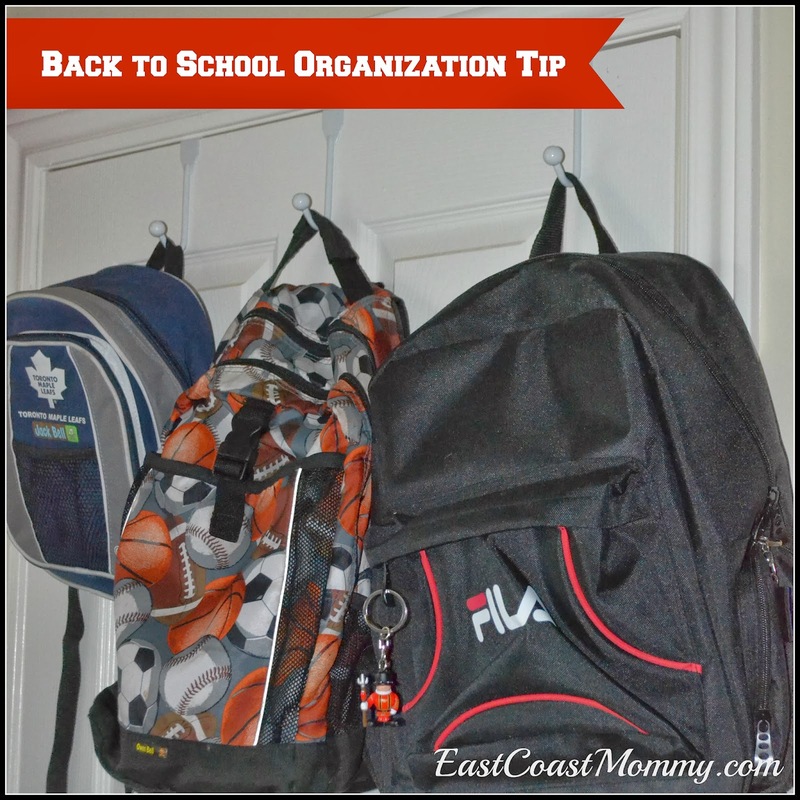 10) Backpack Hooks - Manage after-school chaos by getting backpacks off the floor and out of the way. 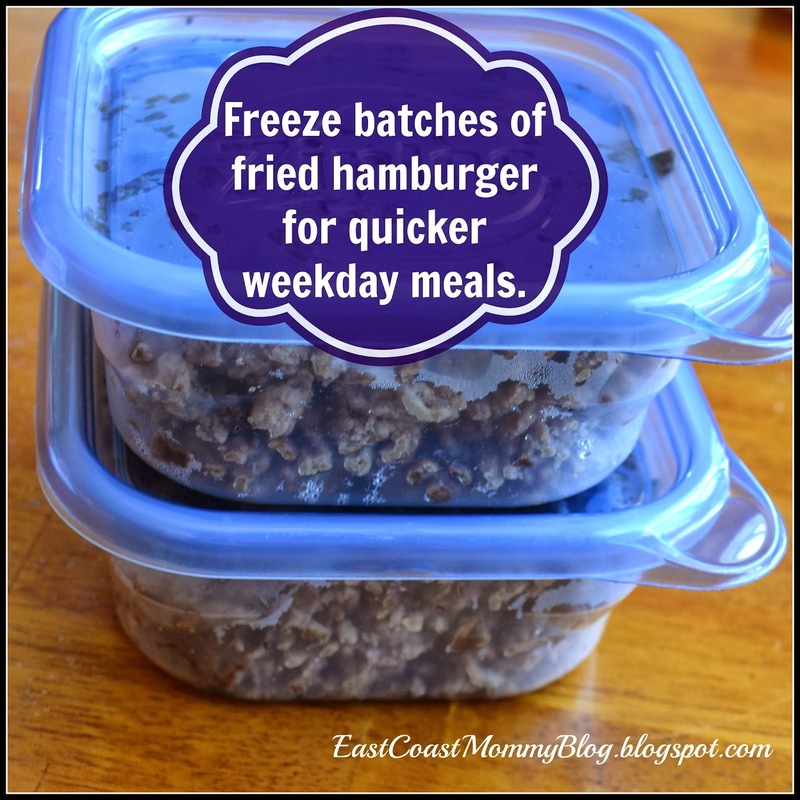 12) Cook in Batches - Make meal time easier by getting organized, and planning ahead. 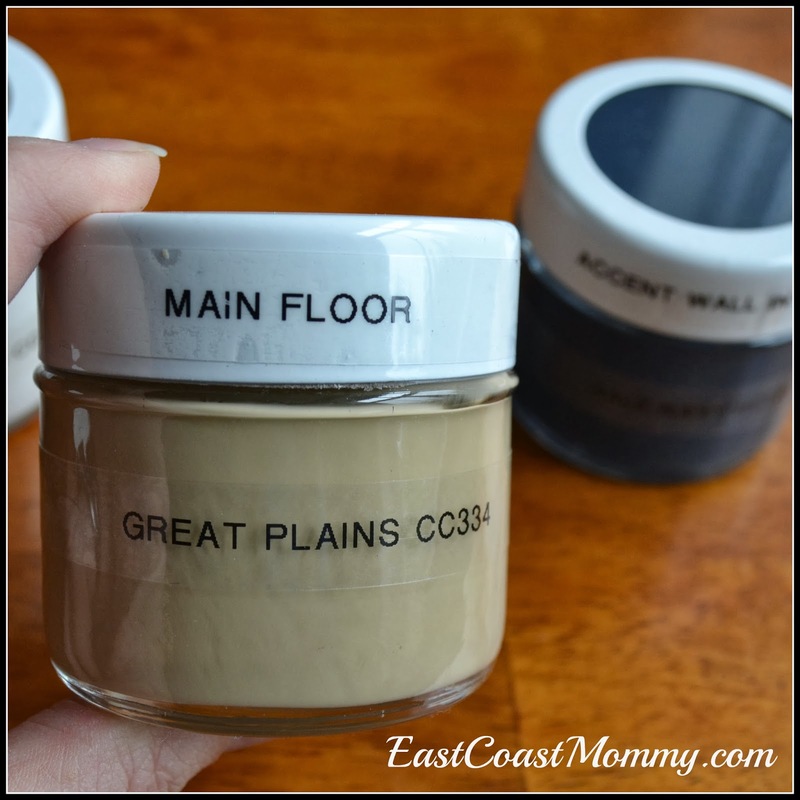 13) Use Jars for Touch up Paint - Make paint touch ups easy by storing leftover paint in dollar store jars. 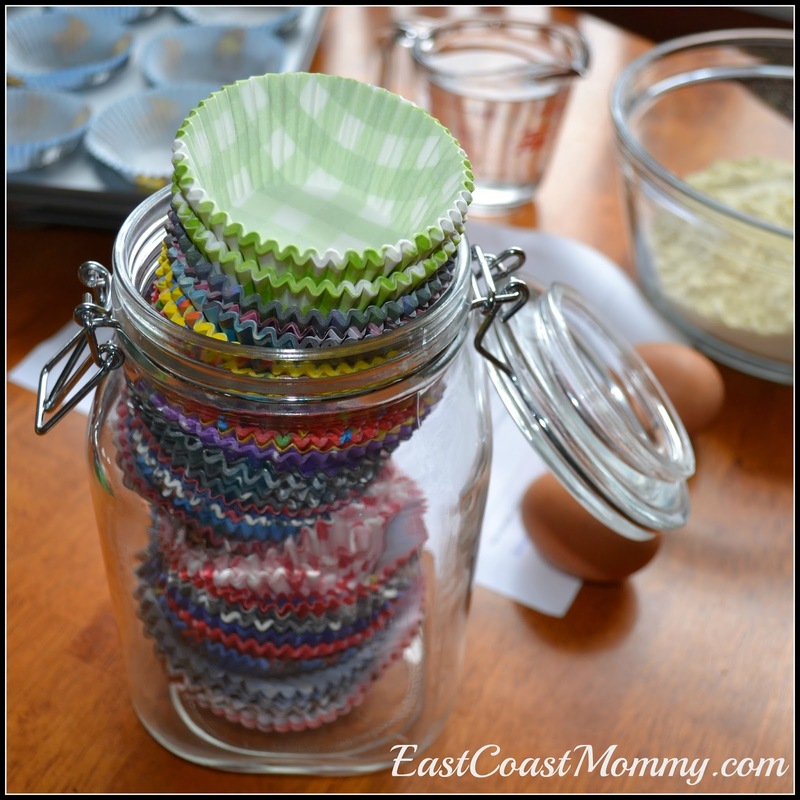 14) Containers for Cupcake Liners - Dollar store jars make perfect places to store your collection of cupcake liners. 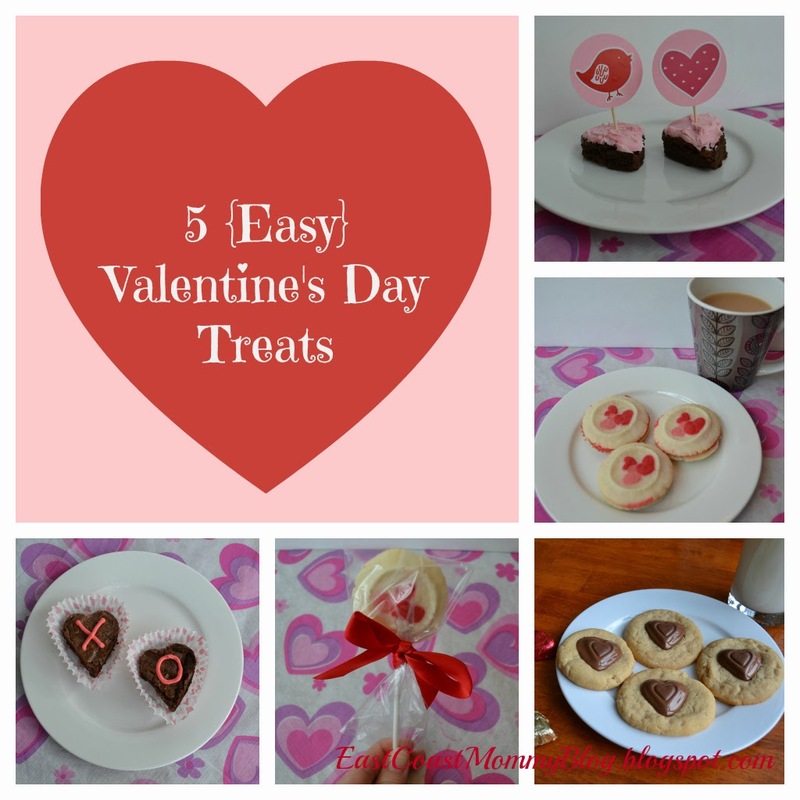 15) Make Ahead Lunch Box Treats - Bake a big batch of treats, wrap them individually, and stick them in the freezer. You'll always have a freshly baked sweet treat for your little one's lunch box. All of these tips are easy and effective, and I have found them very helpful in getting my home organized. 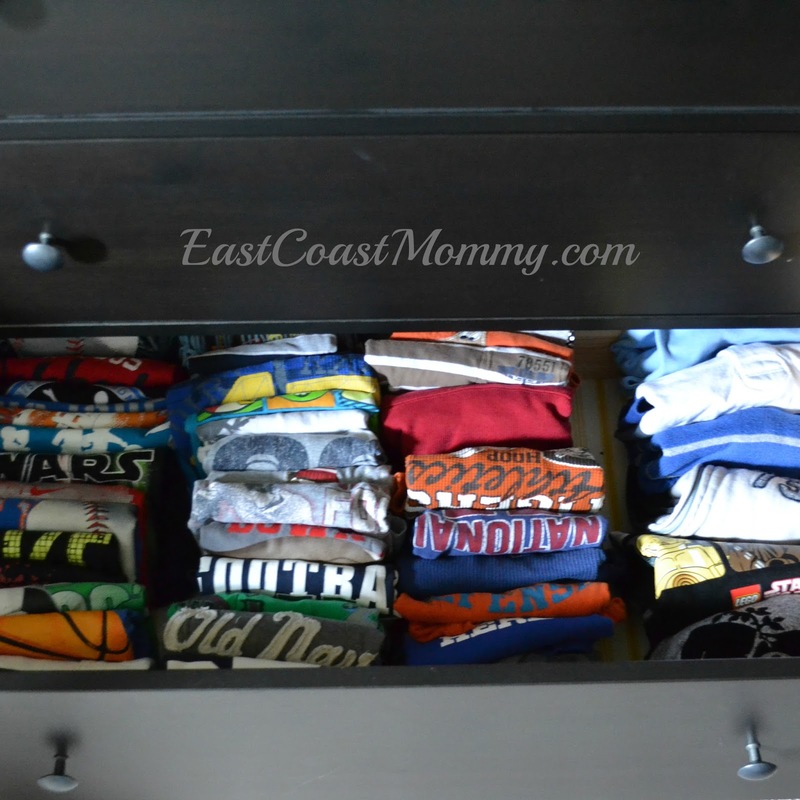 What's your best "get organized" tip? 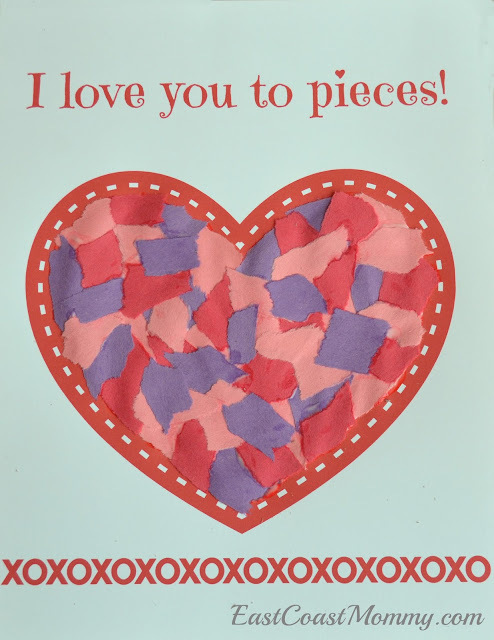 My boys love giving out unique Valentine's, and each year I like to come up with new ideas for them. This year, I came up with three "punny" photo Valentine options. 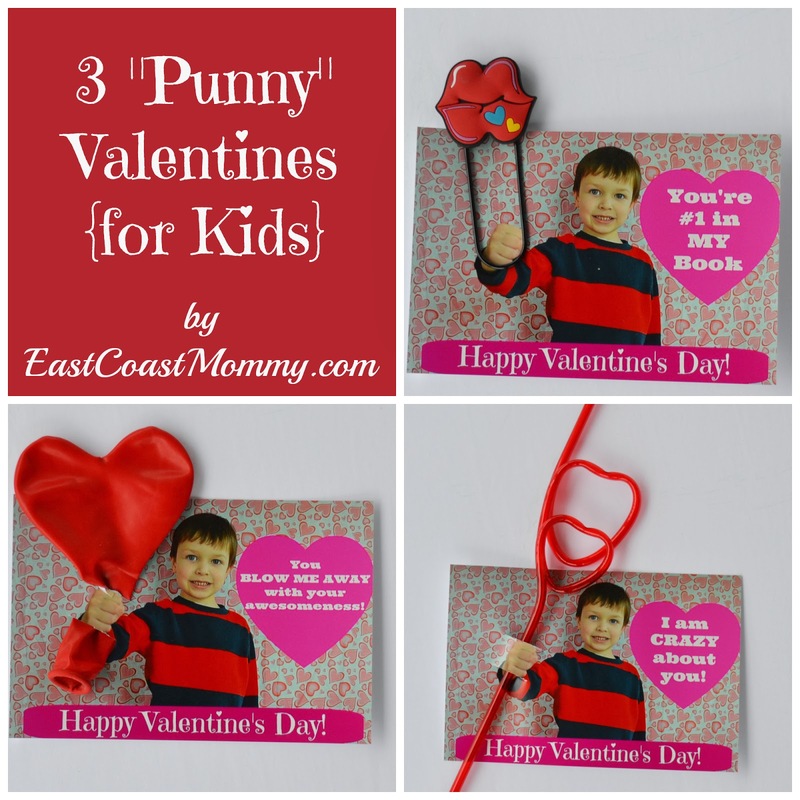 To make these adorable photo Valentines, you need to take a photo of your child standing in front of a dollar store tablecloth background. Have the child stand with their fist out, so you can insert a fun object once you have the cards printed. I added fun sayings to the pictures using Picmonkey.com, but you could use any photo editing software. Don't you just love them? Which one is your favorite? 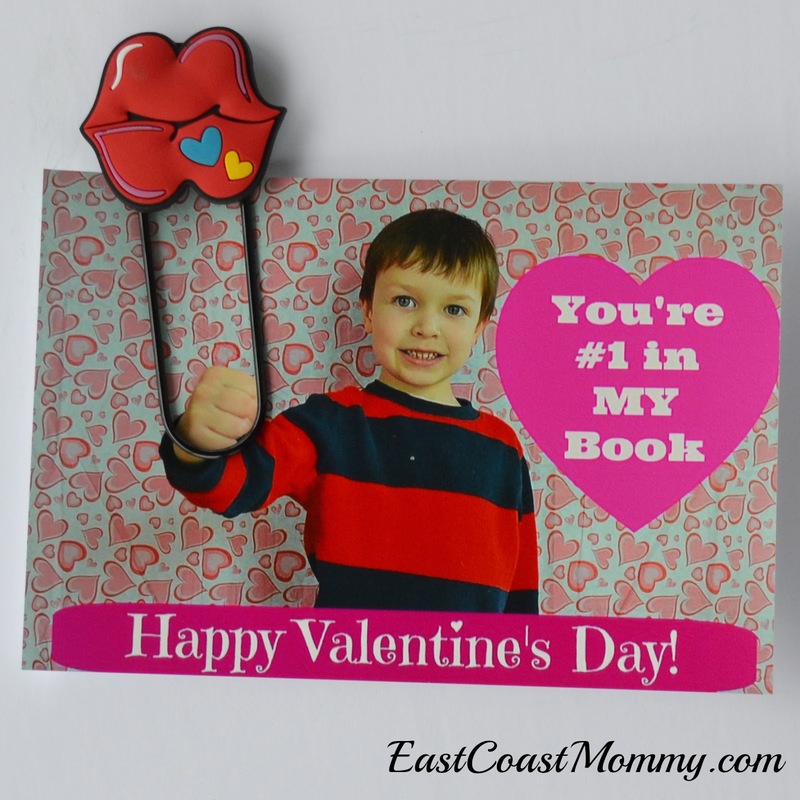 This is a perfect Valentine for busy moms to put together for their little ones. It's unique, easy, and inexpensive. 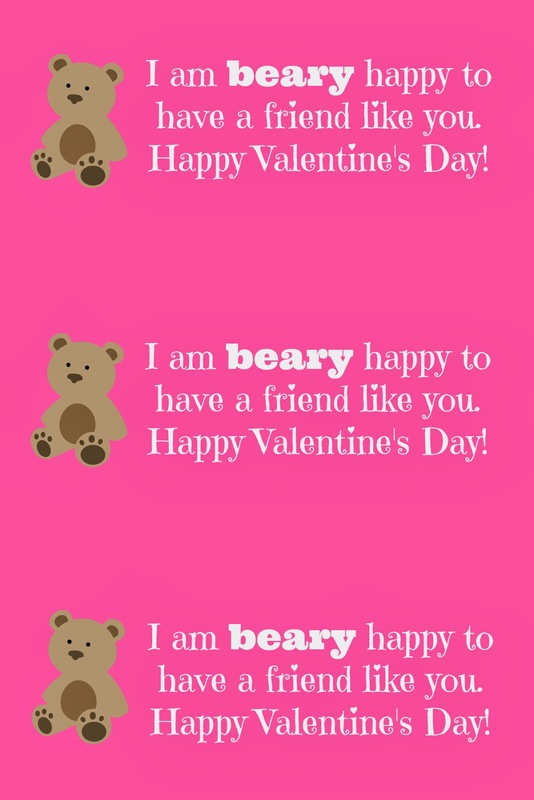 Just download the adorable "I am BEARY happy to have a friend like you." 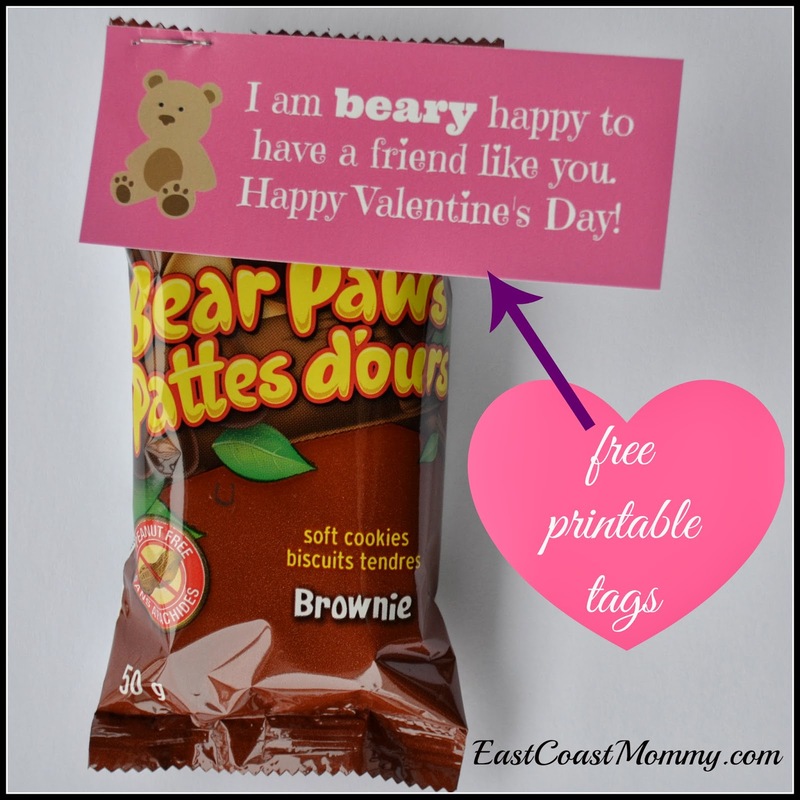 tag, send it for one hour processing, cut the photo into three tags, and staple the tags onto Bear Paw Cookies or Teddybear Crackers. Cute, right? planning ahead so that there isn't a mad scramble on February 13! When it's too cold to go outside, there is still a lot of winter fun to be had. Why not bring a little winter indoors with this adorable toilet roll snow globe? 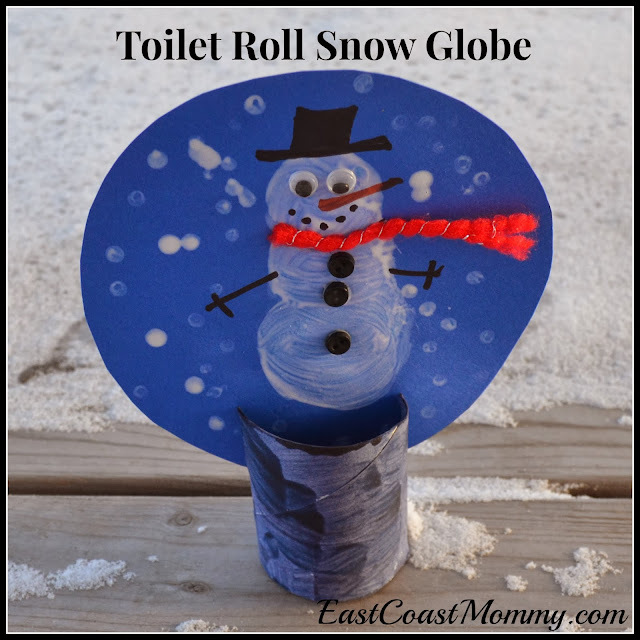 If you are interested in making this adorable toilet roll snow globe, I am shared the full tutorial at CBC kids, and you can find it here. 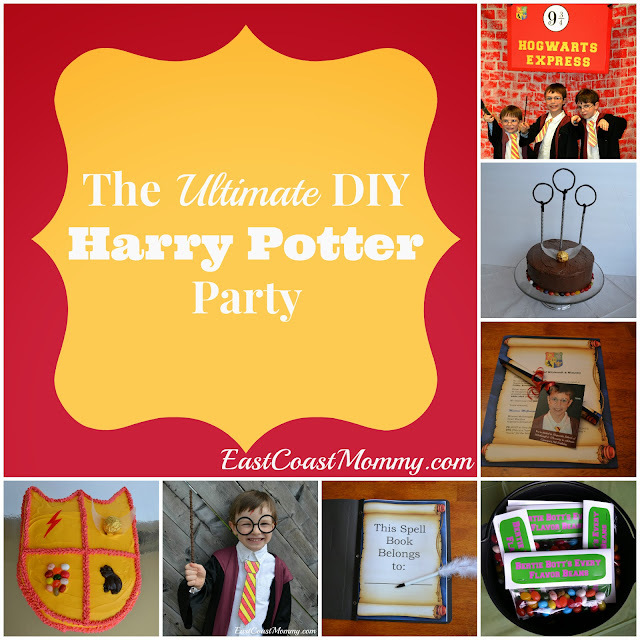 Today I am excited to share another great DIY project from my son's Harry Potter party. 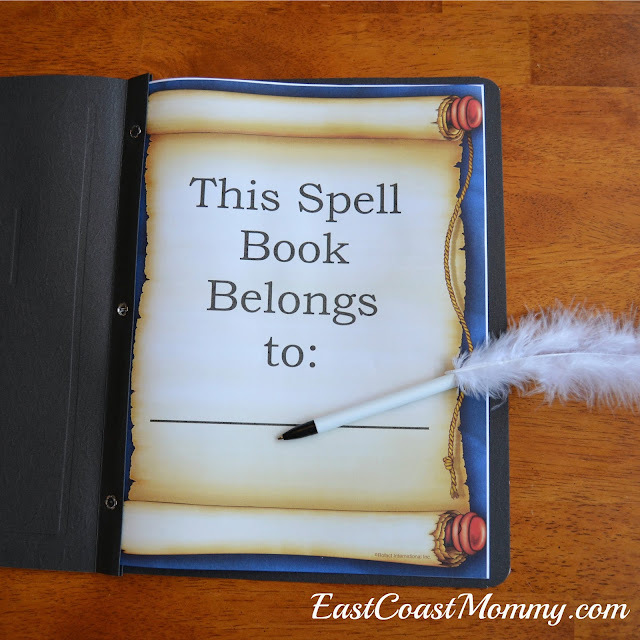 I made every guest their very own Harry Potter spell book and quill. The kids LOVED them, and I was really pleased with how they turned out. a cover page that said, "This Book Belongs to:", which allowed all the kids to add their names to their books. I printed the intro page on some paper I found at the dollar store to add some color to the book without spending a lot of money on color printing. two pages of spells (which were inspired by a list I found here). You can download a free printable version of the Harry Potter Spells here. Harry Potter trivia. 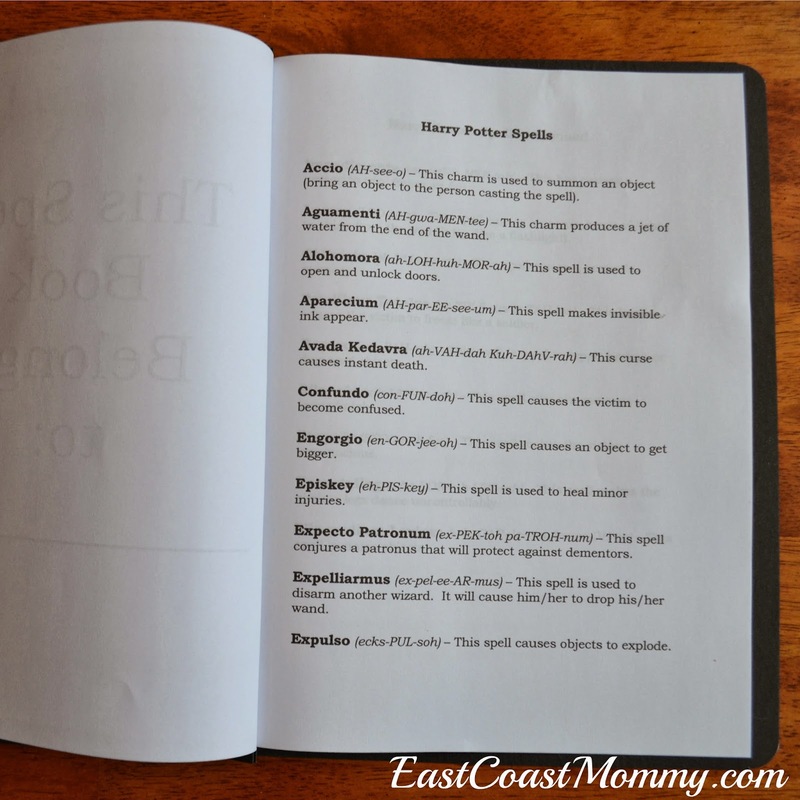 You can download a free printable version of the Harry Potter Trivia here. Harry Potter word search. 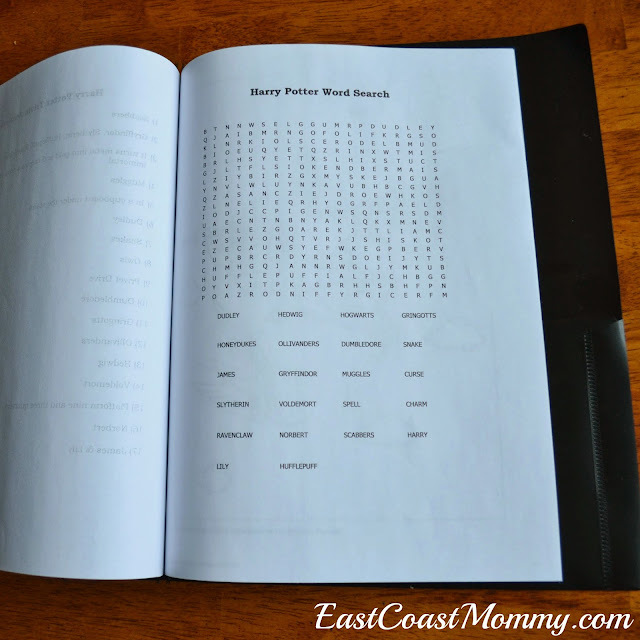 You can download a free printable version of the Harry Potter word search here. 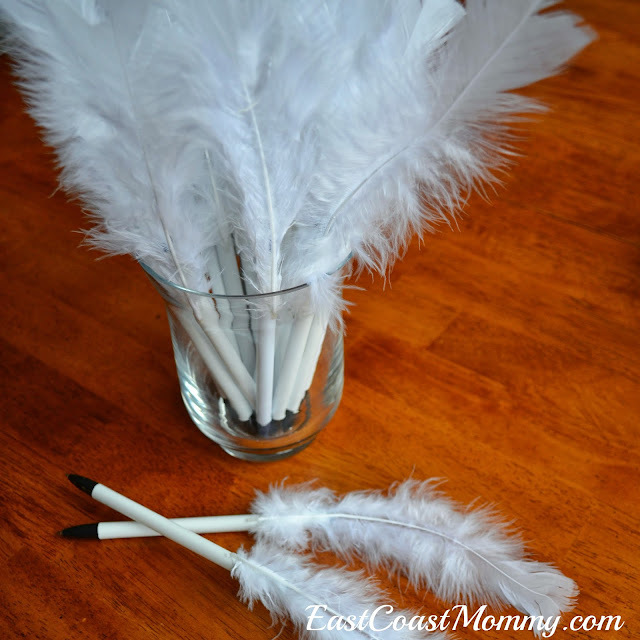 And, of course, little wizards need their own quills, so I used hot glue to attach feathers to ball point pens. Cute, right? 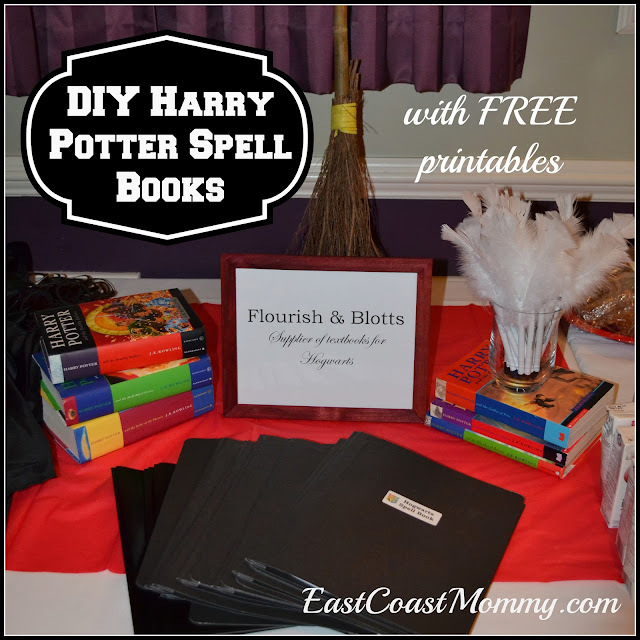 These Harry Potter spell books were definitely one of the most loved elements of my son's 8th birthday party. The kids even started making up their own spells and writing them in their books. Unfortunately, I couldn't get the "automatically clean up the mess from the party" spell to work. Maybe next time! *Enjoy my printables, but (as always), they are for personal use only. I am providing them for free, and they are not meant for resale or for any profit-making endeavour. Also, please feel free to share this post, but do not link directly to the download. Thank you! Last weekend I made baked oatmeal, and when I was done (like always), I threw all my dishes in my dishwasher without rinsing them. My baked oatmeal was delicious, and my clean up was super-easy. Want the recipe and the secret to my easy clean up? 1) Mix butter, eggs, brown sugar and maple syrup. 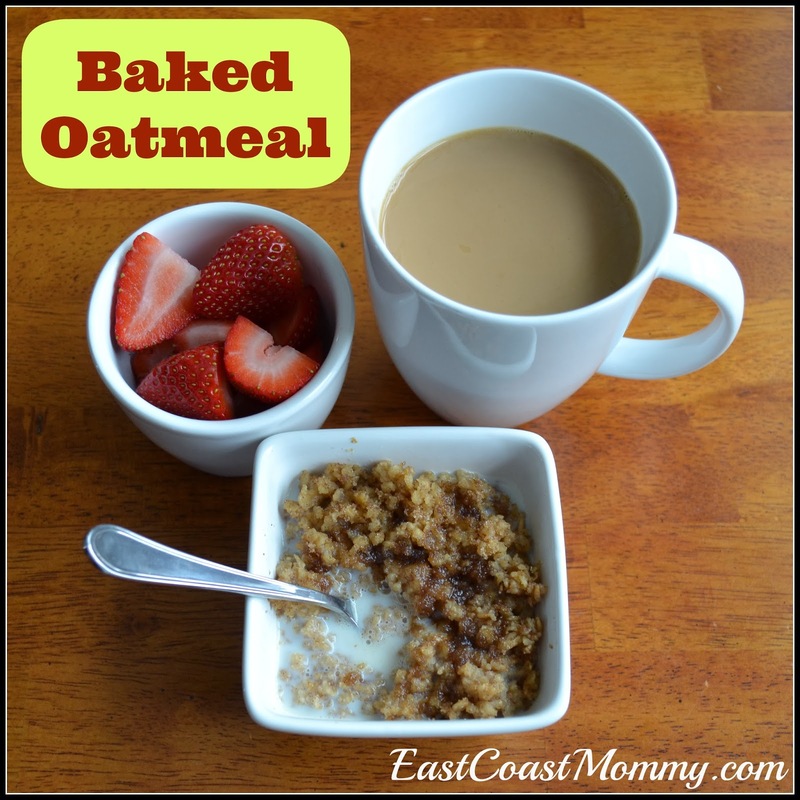 2) Add baking powder, cinnamon, milk, oats, and salt. 3) Bake in a greased 9X11 pan at 350 degrees for 30 minutes. 4) Serve warm with milk (and a little brown sugar or fruit, if desired). Now for my clean-up secret: I used the new Finish® Power & Free™ dishwashing tabs. (Quantum®) Finish® Power & Free™ uses Hydrogen Peroxide Action™, which combines water and active oxygen to give you the unbeatable clean and shine you’ve come to expect from your dishwashing detergent with less harsh chemicals than ever before. No compromise needed and the same great performance. 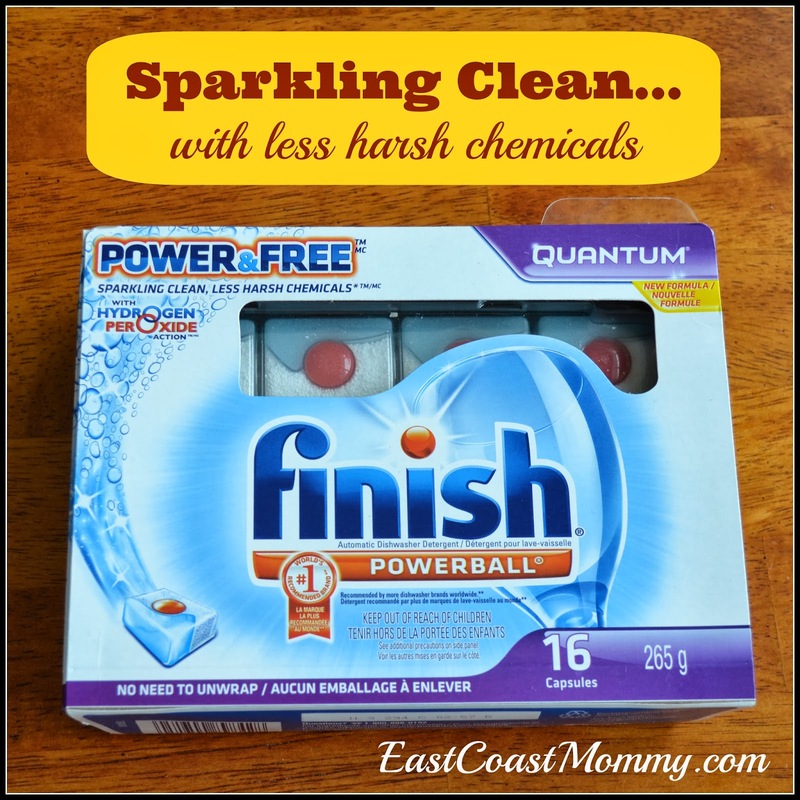 I have always loved the Finish® Power & Free™ line-up of products (Quantum®, Powerball®, and Jet-Dry®), and now I am really excited to know that I can get the same sparkling clean with less chemicals. And... it's the perfect time to give the new tabs a try because you can get a FREE sample on the Finish Facebook Page (while supplies last). If you try the recipe or the detergent, let me know what you think. 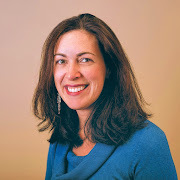 Disclosure – I am participating in the Finish® Power & Free™ Blogger Campaign on behalf of Finish®. I received compensation as a thank you for participating and for sharing my honest opinion. The opinions on this blog are my own.